No matter what side of the political fence you are on, mocking another person’s faith is always in bad taste. 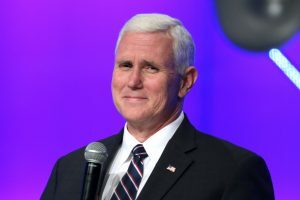 Representative-elect (D-Minn.) Ilhan Omar found herself in hot water for doing just that, when she made a tweet mocking the faith of Vice President Mike Pence. The tweet quickly went viral on the net, igniting serious debate. Many accused Omar of making fun of Christian beliefs, and called it a double standard as Omar identifies with the Muslim faith. Omar, whose roots are from a Muslim minority and a Somali-immigrants background, made history when winning in the midterm elections for being the first Muslim and hijabi women to enter the U.S. Congress. She was also known for spelling out the issues dealt by minorities in American society and mainly related to Islamophobic attacks. Many people criticized Omar for her tweet and accused her of repeating old anti-Semitic ideas about Jews “deceiving” the world. Omar stood firm, however, and refused to retract her tweet. She later told ABC News that she is not anti-Semitic. Instead, it’s her critics who are the real bigots, she claims. “These accusations are without merit. They are rooted in bigotry toward a belief about what Muslims are stereotyped to believe,” she said. Omar has not yet responded or apologized yet for her viral tweet about Pence.